The former campus of Villa Teresa School at 1216 Classen Dr. in Oklahoma City. An old Catholic school campus in downtown Oklahoma City has a new owner. Marva Ellard and development partner Billy Woodring purchased the six-building Villa Teresa property this week for $5.5 million. They plan to redevelop it as a mixed-use property which could include a boutique hotel in the nuns’ convent and condominiums and townhouses on the rest of the area. The oldest building on the Villa Teresa campus dates back to 1917, but it wasn’t until 1933 that the Carmelite Sisters opened the K-4 school. The school closed in 2012. Brokers from Newmark Grubb Levy Strange Beffort handled the transaction between the previous owner, Ross Group Construction Corps., and Ellard. The Journal Record’s Molly Fleming writes the brokers emphasized to potential buyers that residents had a vested interest in the buildings’ redevelopment. “It's a well positioned piece of land, but the buildings have some value as well. They had some out-of-state developers that lost interest in the sale because they wanted to tear down the buildings,” Fleming told KGOU. Fleming says the campus has special significance to many residents of Oklahoma City because it was one of the first downtown schools. The school was run by the Carmelite Sisters, but students did not have to be Catholic to attend. Additionally, the school was not attached to any particular Catholic church, like most private religious schools. Instead it was run entirely by the sisters. “Ultimately, the lack of a church connection might have been their demise. By its end they were barely able to pay their teachers and the Villa Teresa teachers were some of the lowest paid in the city,” Fleming said. Villa Teresa is not currently on the National Register of Historic Places, but Fleming says Ellard plans to begin the application process. Jacob McCleland: This is the Business Intelligence Report, a weekly conversation about business news in Oklahoma. I'm Jacob McCleland. I'm talking today with Journal Record reporter Molly Fleming. Molly thank you for joining us. Molly Fleming: Hey thanks for having me. McCleland: Molly, let's talk about the Villa Teresa campus in Oklahoma City. It's a former Catholic school between Classen Boulevard and North Dewey Avenue. Marva Willard and Billy Woodring bought the property for $5.5 million. What are their plans for this property? Fleming: They're going to do a mixed use development, which is a vague term, I realize. But they're going to turn the nuns convent into a boutique hotel, which means it's less than 100 rooms. The rest of the property will be condominiums and townhomes. The new construction will be along Dewey Avenue. McCleland: Now the oldest structure at village trees it dates back to 1917, so this area has a really long history. Could you kind of walk us through that the history of the place a little bit? Fleming: Sure. The first building was somebody's house. 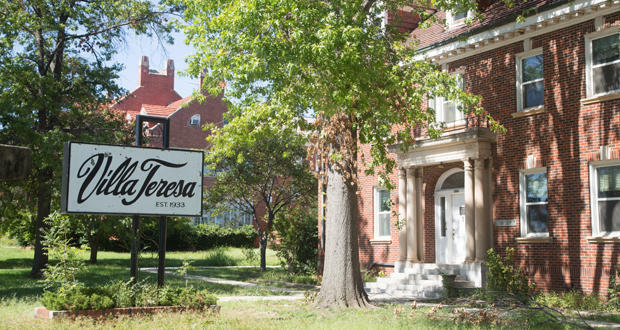 The Carmelites Sisters of St. Theresa open the school in 1933 and then they just started buying nearby properties to expand their campuses and they were basically houses. The school closed, though, in 2012. McCleland: So what's the what's the condition of the campus right now? Fleming: Yeah. So they like to say in real estate the property itself has good bones, but it will need a lot of work on the inside. The buildings will need to be brought up to code, some of the roofs will need to be replaced, plumbing and electrical lines will need to be updated, the windows will need to be replaced. And there's a lot of things to be made newer. McCleland: I guess that comes with the territory when you're talking about a place that we're the first property was constructed in 1917. McCleland: So the property owner marketed this to local investors and actually turned down a couple of potential buyers who wanted to tear down the six buildings on the campus. Why did they want to sell it to somebody local? Fleming: So this is marketed nationwide. They had people come in from inside and out and say they really looked at buying it. But they wanted someone to understand the Villa Teresa's significance to the area. Sure it's a well positioned piece of land, but the buildings have some value as well. They had some out-of-state developers that lost interest in the sale because they wanted to tear down the buildings. I mean, can you imagine the Downtown Design Review Committee meeting where this site would be up on the agenda. I mean people would show up in droves. It's best to find somebody that respects the site and will keep everything intact. McCleland: So really what is the significance then for her for the Villa Teresa property for people who live in this neighborhood? Fleming: Well big picture, this is one of the original downtown schools. And you didn't have to be Catholic to go here. People that work downtown drop their kids here. It was pre-K to fourth grade. And since it has been, it was open for 79 years, there are likely people in the downtown workforce that can trace their school days back to Villa Teresa. Also the school was not attached to a church and most private church-related schools are financially supported by a church body. But the Carmelites sisters believe in educating downtown's children so much that they supported this as much as they could. Ultimately the lack of a church connection might have been their demise. By its end they were barely able to pay their teachers and the Villa Teresa teachers were some of the lowest paid in the city. McCleland: So this sounds like this is a place with a lot of history for Oklahoma City. Why isn't it on the National Register of Historic Places? Fleming: The main question. Putting a property on the Historic Register is an owner's decision. And so actually when I was talking to Marva the other day she said she's going to try to list it all as one cite. The national register you know you can do building-by-building. But really together this is what makes it as you know an entry for the Register of Historic Places. And so, well, the city historic preservation office ultimately reviews applications, it takes an owner to do it. And when you look at notable historic rehab projects, the First National Center, for example, the, it wasn't on the register. It took the owner to do it and and ultimately that's that's an owner's decision. So usually what happens is an owner that wants to redevelop a historic property will immediately try to get it on the register so they can qualify for state and historic federal tax credits because these projects are not cheap by any means. But the flipside of this is some people won't put their buildings on the register because they don't want to do the redevelopments in coordination with the historic preservation office which will go in and check and make sure you're doing it right. They'd rather just go in and do it as they want because they're not going to get money for it. McCleland: Molly Fleming is a reporter for The Journal Record newspaper. Molly thank you so much.